Canon launches EOS 200D II dubbed as "World's Lightest DSLR"
Home / camera / canon / news / Canon launches EOS 200D II dubbed as "World's Lightest DSLR"
Canon launched the new EOS 200D II, a camera dubbed as the world's lightest digital SLR camera to date. 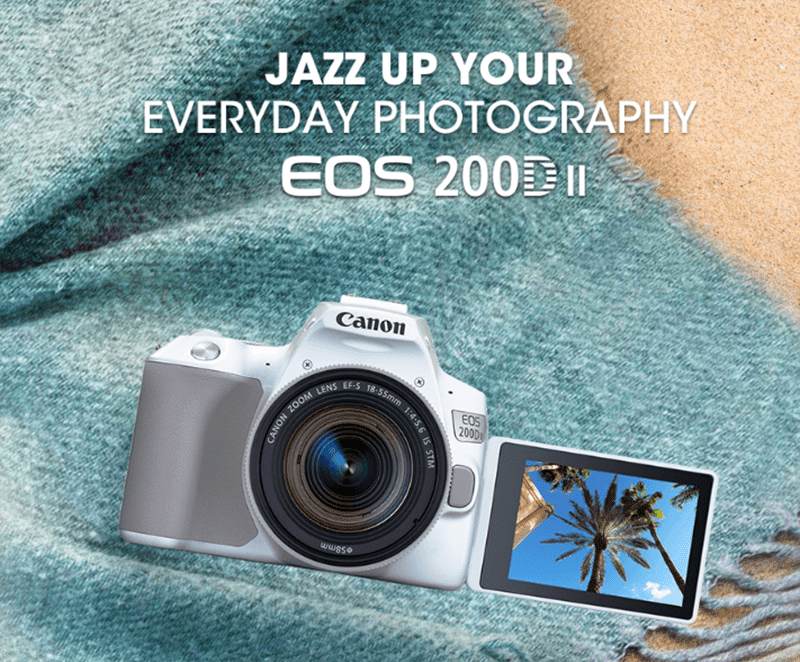 The EOS 200D II has a 24.1MP APS-C CMOS sensor and DIGIC 8 imaging processor that allows it to achieve 4K video recording. The camera maybe lightweight at 449 grams but Canon promises no compromise when it comes to features and capabilities. It has a wide ISO range of 100 to 25600 that can be further expanded to 51200. This allows the user to shoot under various lighting conditions. It also minimizes noise levels in terms of low light photography. It also has Dual Pixel AF technology that allows user to achieve focus with the minimum AF luminance of EV -4. The EOS 200D II can shoot 4K resolution movies at 25 frames per second even under dim environments due to the Movie Digital IS. It also simplified capturing 4K time lapse videos through its intuitive UI and menu. Navigation is done mainly on its 3-inch vari-angle touch screen LCD monitor. It also has built-in WiFi and Bluetooth connectivity. 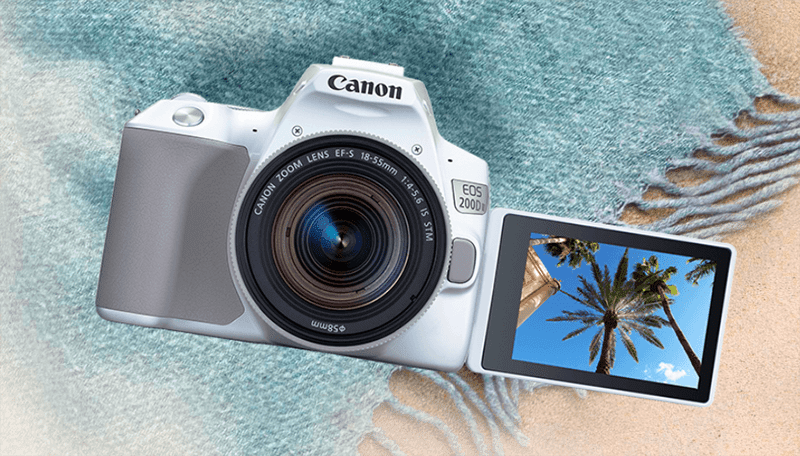 Price for the Canon EOS 200D II has yet to be announced but it is set to be available in Canon stores nationwide on May 2019. We will update you once pricing is announced and for the specific date it hits the stores.